Editor’s note: This is one installment of a 13-part series of capsules on the 2018 prospects, strengths and weaknesses of each football team in the Big Sky Conference. League play begins in the BSC on Saturday. Big question: Can the Bengals’ defense finally buoy the offense? Mike Kramer called the situation he took over at Idaho State in 2011 “an unmitigated disaster”. Kramer went to work fixing a roster that tanked under Jeff Zamberlin, first addressing the offensive line. 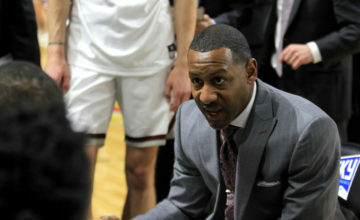 ISU struggled mightily the first three seasons under Kramer after winning just five games in four years under Zamberlin. In 2013, junior college transfer quarterback Justin Arias operated offensive coordinator Don Bailey’s up-tempo spread offense efficiently, foreshadowing the breakthrough that came in 2014. Arias threw for 3,547 yards and 24 touchdowns in 2013. 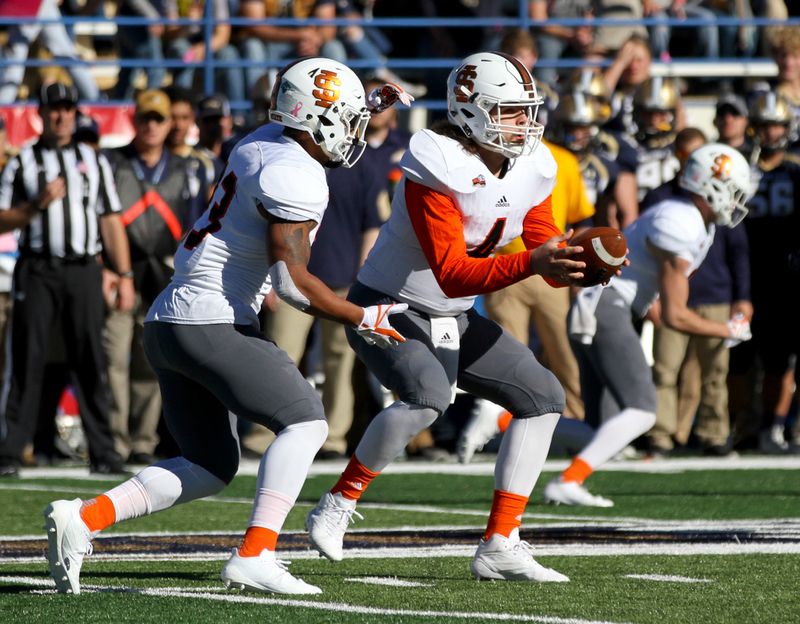 In 2014, he finished third in the Walter Payton Award voting after throwing for 4,076 yards and 38 touchdowns as ISU finished 8-4, just outside the FCS playoff picture. Xavier Finney rushed for 1,495 yards and 14 touchdowns and Madison Mangum caught 83 passes for 1,234 yards and 10 touchdowns for an offense that averaged 40.3 points per game. In 2015 and 2016, ISU had a hard time replacing Arias and eventually had to replace Bailey when Kramer’s longtime offensive play caller left for Hawaii. Last season operating offensive coordinator Rob Phenicie’s attack, ISU averaged 28.1 points per game as James Madison rushed for a Big Sky running back-best 933 yards behind an offensive line anchored by eventual NFL signee guard Skyler Phillips. 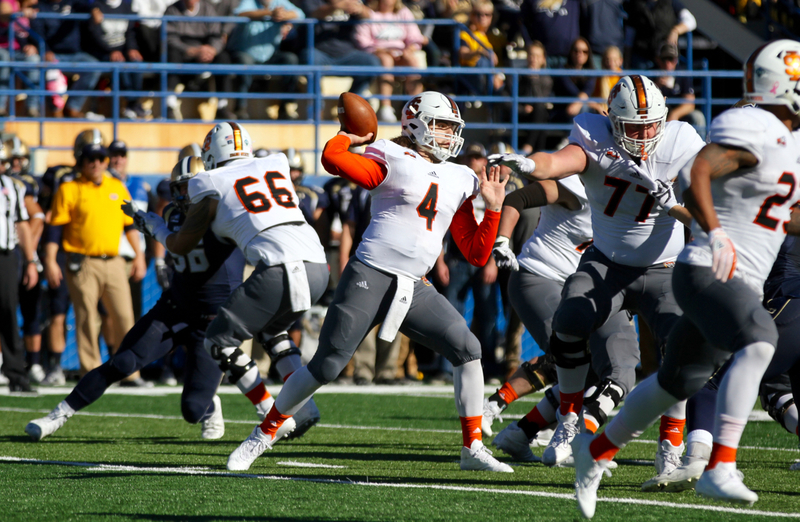 Idaho State could not capitalize on the momentum of a season-opening 30-28 win over FBS Nevada because of a defense that struggled to find its footing. ISU gave up 35.5 points and 485 yards per game last season during a 4-7 finish. It’s hard to gage ISU’s defense thus far this year. 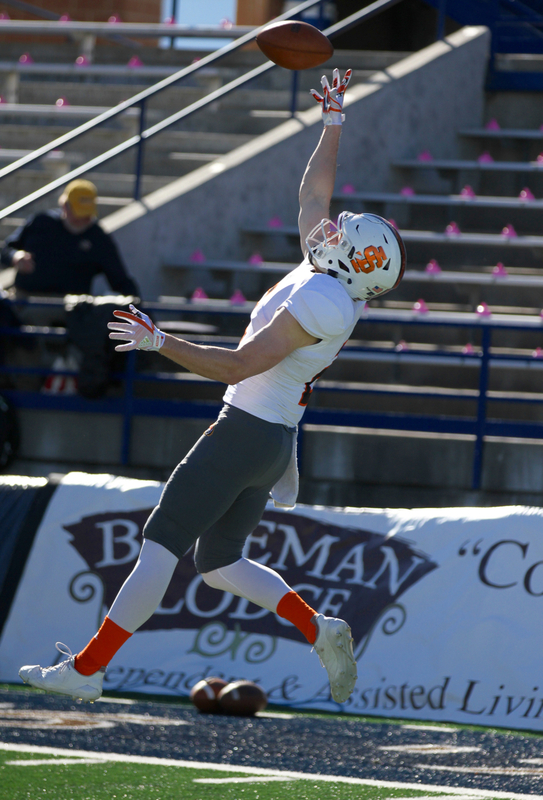 The Bengals were hardly tested in a 45-10 win over Division II Western State and looked solid in a 45-23 loss at Cal of the Pac 12 on Saturday. Quarterback Tanner Gueller competed with Michael Saunders for the right to replace Arias when Gueller was a redshirt freshman in 2015. He eventually took the starting job for the final four games of that season, throwing for 253 yards and three touchdowns in an overtime loss to Montana. As a sophomore, he threw for 2,351 yards and 20 touchdowns. Before last season, wide receiver Mitch Gueller, Tanner’s older brother by four years, decided to hang up his baseball cleats after six seasons playing minor league baseball. The former second-round MLB draft pick by the Philadelphia Phillies joined Idaho State as a walk-on in 2016. He broke into the starting lineup by the third game of his first season back on the gridiron. Since then, Mitch has added a big-play option for his brother. Mitch caught 36 passes for 509 yards and three touchdowns in his freshman season that doubled as Tanner’s sophomore season. Last year in the sophomore year for the older Gueller and the junior year for the younger brother, Tanner threw for 2,754 yards and 22 touchdowns. He found Mitch 36 times for 891 yards and eight touchdowns as the elder Gueller earned first-team All-Big Sky honors as wide receiver. The 6-foot, 210-pounder looked like the perfect running mate for All-American Mario Jenkins last season. But like Jenkins did the year before in 2016, Martin fell victim to a season-ending ACL tear seven games into the 2017 season. He piled up 20 tackles against Utah State, 14 tackles against Cal Poly and 10 each against Northern Colorado and Montana before the injury struck. Martin’s 69 tackles ranked third on the team despite the missed time. He finished 2016 with 88 tackles, three interceptions and earned honorable mention All-Big Sky honors. Martin has not fully recovered from an injury suffered last October that usually takes a full year for a player to recover from. He has just one tackle in two games thus far this season.